A new entrant to the premium bag market. Disclosure: Ultiworld was compensated for reviewing this product. All opinions are those of the author, who was given a free product sample for review. The review was not subject to approval by the Greatest Bag. 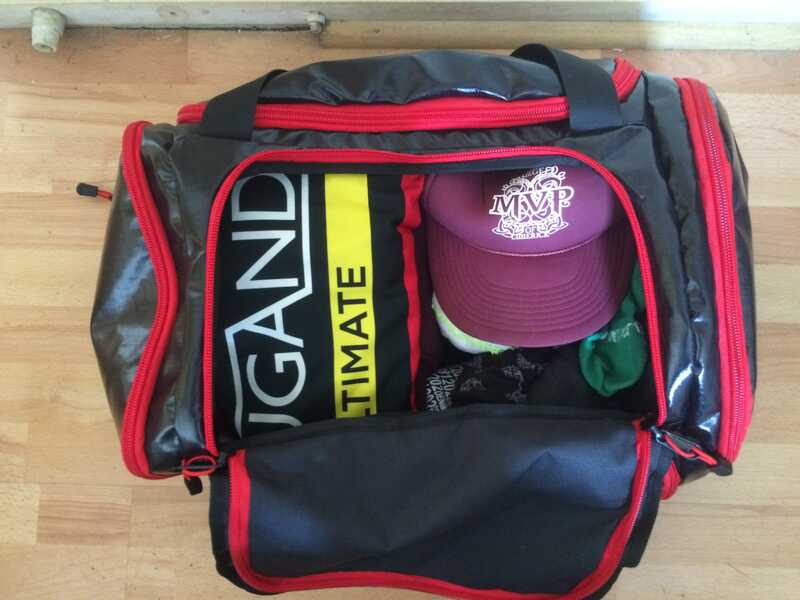 There are few things more precious to an ultimate player than their gear bag. It is that sacred companion on our weekend pilgrimages. Whether getting stuffed into the back of a team bus, tied to the roof of a friend’s car, or jammed under seats on airplanes, it is always with us. From the moment you finish packing — mere seconds before it is time to leave no doubt — to the bittersweet return a few days later, how far are you ever really from your sporting vessel? It is the guardian that sits patiently enduring the various circles of hell our passion drives us through. Composed chaperones of what little remnants of civilization we can afford after spending all our money getting to the event. To try and force your way into such a contentious market, one would need an excellent product. 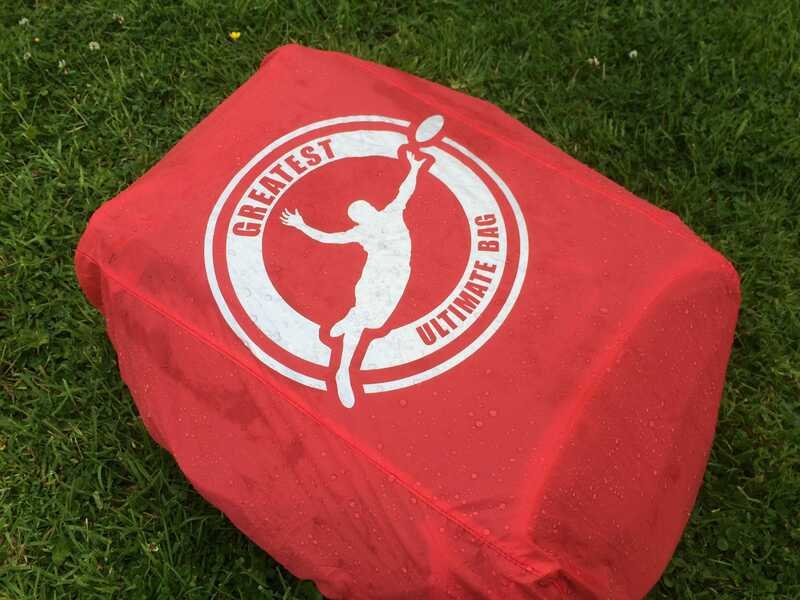 A new company is trying to achieve such a feat with the new Greatest Ultimate Bag, which launched a Kickstarter today1. We explore and review the offering. The fundamental question: can it fit all my stuff? When we placed the Greatest Bag at the brutal mercy of public inspection, the first issue raised was its size. One of the most prominent observations was ‘you could add another ten liters to that easily.’ Metric confusion aside, the main compartment does look a little on the small side compared to the contemporary gear bags adorning today’s sidelines. Speculation is a dangerous thing to trade on, so I set out to scientifically examine the compartment’s capacity. In order to do so, we need to define the standard unit of ultimate ‘stuff.’ Kit is the first priority: two jerseys, shorts, hat, and cleats. If you are an accessory savant, then that is your private business. Most superfluous additions to the above are insignificant enough to fit anywhere or be worn on the way. After that, it’s the street wear/party outfit. Appearance is crucial to pulling off the perfect party tournament, and there are few things so sweet as slipping into fresh attire on the Saturday evening of a competitive event. With this in mind I have added jeans, a hoodie, and two t-shirts. Garnish these with four pairs of socks and jocks2 to finish and this is the result. There is definitely enough room for the inevitable tournament goodies. Should you pick up a jersey, shorts, or other swag, there is ample room left to bring them home. 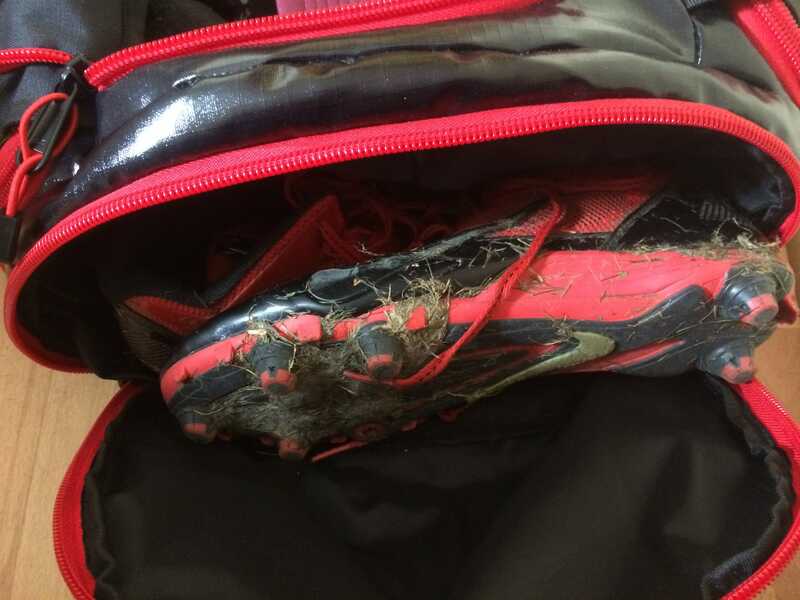 With a separate area for dirty cleats, which does encroach slightly on the main compartment, the basics are well covered. This product was generously bestowed upon me while still a plane flight and bag-less check-in away from my homestead. As a result, I had to try and convince the airport additional charge detectives of the innocence of the container on my back. At maximum capacity there is the issue of whether this bag will be permitted as carry-on. I was able to lean on years of thrifty travel experience and get it through one of Europe’s more fee-happy check-in desks. I’m sure the majority of you have developed similar abilities over your careers, but it remains a concern. Apart from that, I find the compartment size fine; all but the most fashion conscious of us will be satisfied, if not impressed, with the 60 liter volume. It’s no good fitting your prized possessions snugly in the confines of a gear bag if it is not adequately equipped to preserve them. 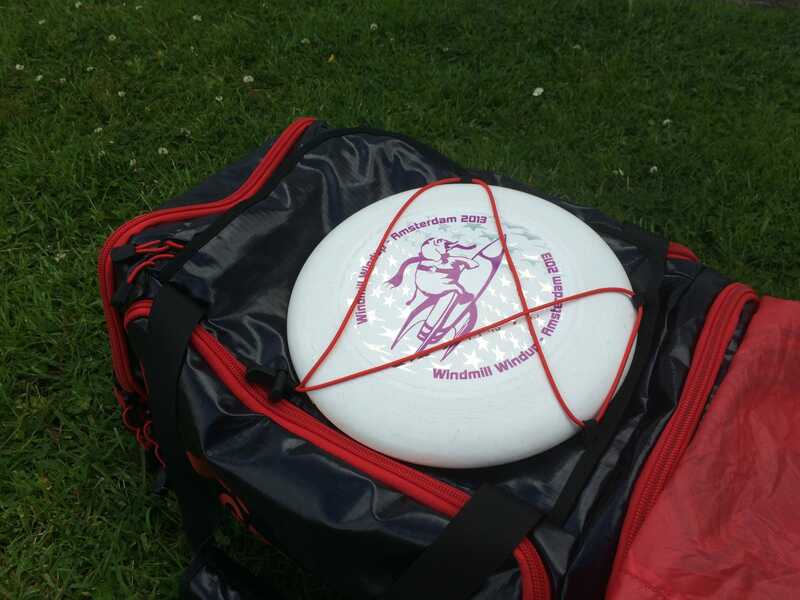 I play the majority of my ultimate in Northern Europe, where midday squalls are more formality than possibility. If a bag lacks the water resistance of a small ark, it simply isn’t getting used. In answer to this common issue, the Greatest Bag is waterproof and sturdy enough on its own, but has a secret weapon for those more amphibious events: a pull-over rain cover. In a feat of irony befitting Shakespeare, the skies elected to stay closed for business while I was testing the bag. As a result I had to improvise. I can only describe the results as deeply satisfactory. While this does not replicate consistent assault, it was quite the torrent to unleash on the bag, one it endured with aplomb. Even outside of its watertight case, the bag retains a great degree of durability. The material is water resistant enough on its own to endure limited precipitation, a handy edition should you get caught in a shower mid game. The zips and straps all seem sturdy and dependable, with no tell-tale gives appearing in the seams since I started using the bag. I have only had it a month so the results are incomplete, but so far the trend is absolutely a positive one. The last of the important metrics by which the Greatest Bag must be judged is applicability. How easy is it to use? The bag comes with two easy ways to carry. Standard gym variety does exactly what is says. The handy strap up top is perfect for rapid redeployment of your squad in the inevitable event of getting your fields wrong just before crossovers. 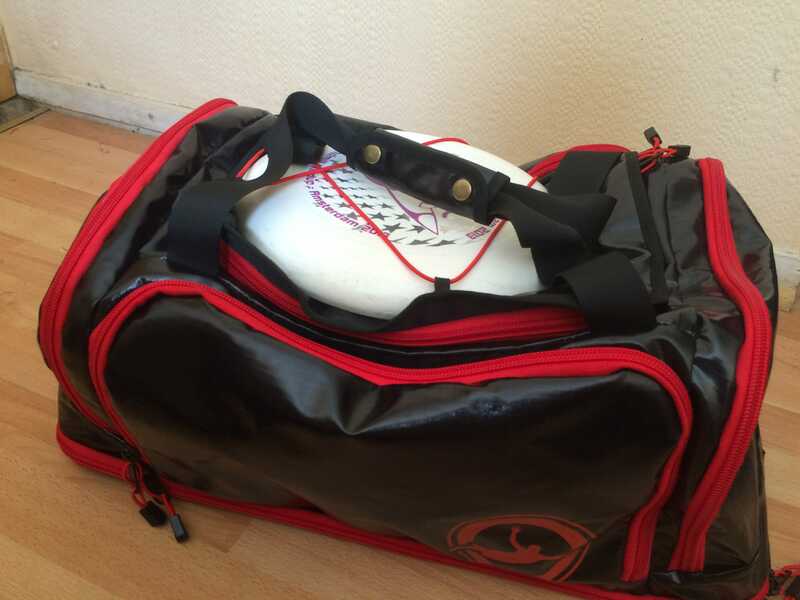 Concealed on the bottom of the bag are the shoulder straps for more extended carry time. Emerging from their own compartment, these bad boys are built for comfort. Complete with supporting waist strap, this option provides the repose and strength required to accommodate extended travel. 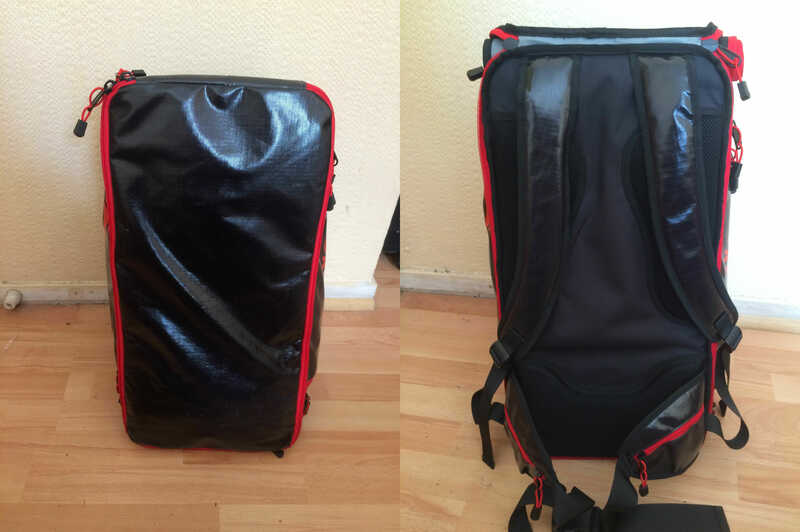 I was able to fit two varied weeks of my life into the bag and drag them around the UK with relative ease. Ergonomic padding in the lower back and shoulder regions ensure that even the heartiest of packers should be satisfied. 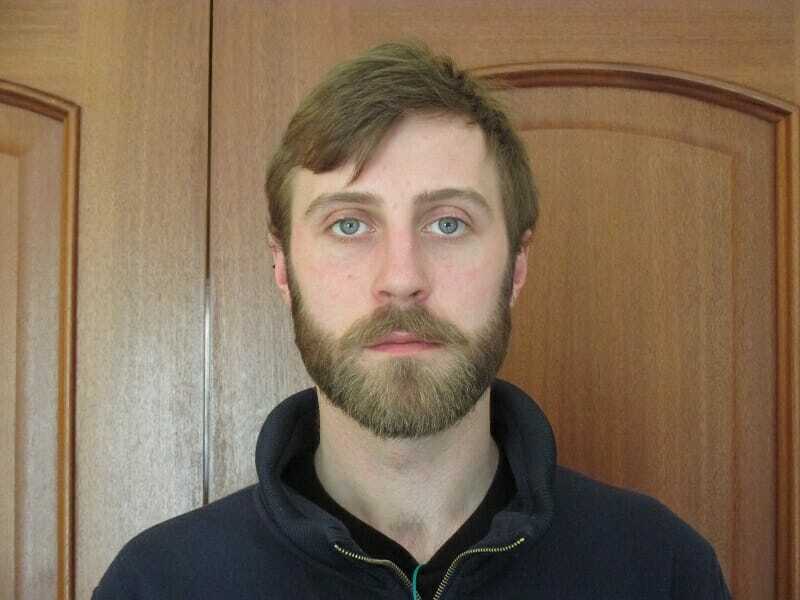 The look may be cross-country backpacker, but in many cases that’s exactly what we are. So far I have described the kind of luggage that one could find in most shopping malls. The place where the Greatest Bag justifies its lofty moniker is in the ultimate-specific additions. Disc storage: So the world knows exactly what kind of backpacking hippy you are! 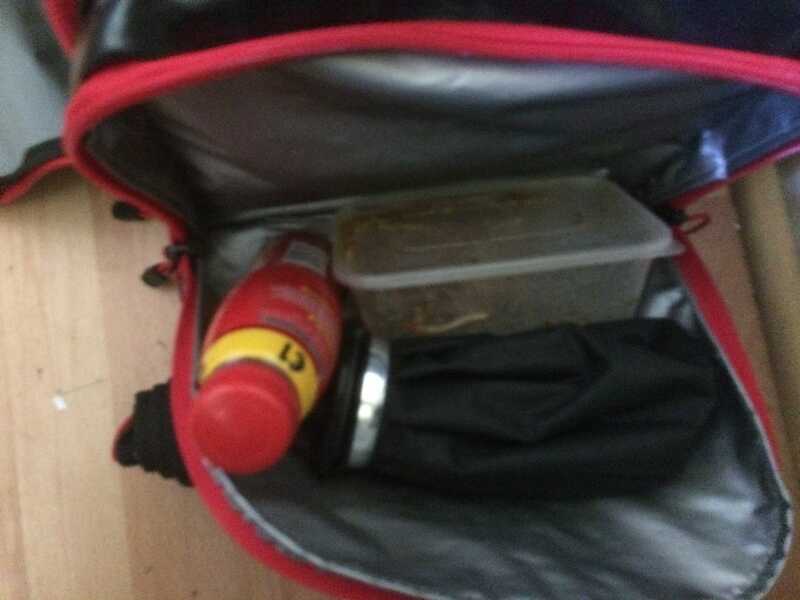 Technology: A nice side compartment filled with various pockets and containers for modern conveniences. Again, standard issue enough apart from the nifty hard case for your phone. Such small, but clever developments on established industry practices are the calling card of this product. Freezer Pocket: Now this section caught my eye: a handy little compartment with special lining to help keep whatever is held within cool. It even comes with a watertight ice container. This won’t withstand consistent heat beating down on you all day, but it is a useful way to keep your pre-cooked meals fresh while trudging around the pitches. There is a second, larger compartment with the same lining should you want to have a midday picnic. You only get one ice bag between the two pockets, but it is a nice touch. Often when we pursue several goals simultaneously, we fail to satisfy any of them completely. There is a danger in trying to provide multiple functions that the driving one falls to the wayside. The Greatest Bag dodges this pitfall by never allowing the accessories to encroach on the primary application. 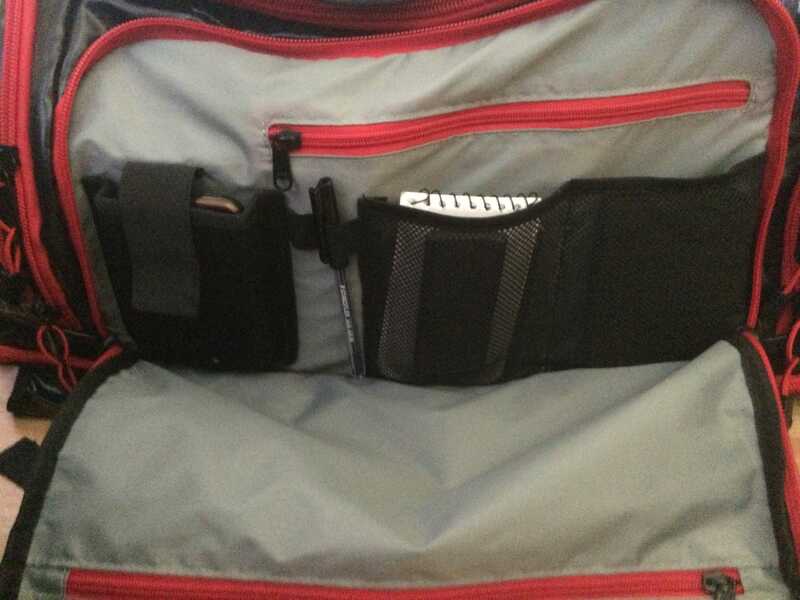 If you ignore all of the nice additions — the cooler section, the electronics packets, and the multitude of small zip pockets — what you are left with is a solid gear bag. There is the concern that when utilizing all of the bags additions one will start to run low on space in the main compartment. But if you are going to start cramming things in, I know from experience this bag will do its best to accommodate you. At maximum capacity (something I reached on my return trip to Ireland), there will be nervous queues in the airport, but there are few players out there who haven’t dealt with that before. At $99 (available through the company’s Kickstarter), the bag is priced competitively with similar sized and featured bags. When you consider durability, ease of transport, and space — the key criteria of any travel companion — this product certainly satisfies. When combined with the ultimate-specific augmentations, the Greatest Bag is a nice attempt to reinvent the wheel. 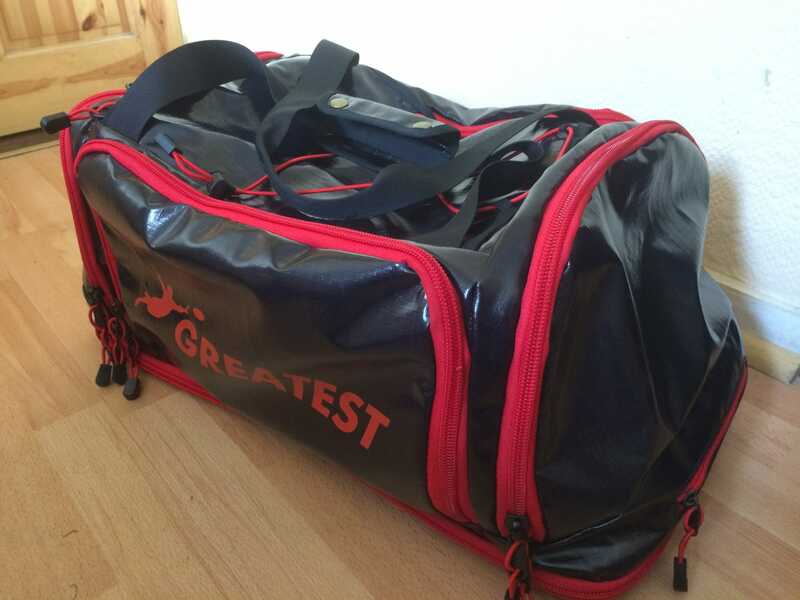 Comments on "Product Review: The Greatest Ultimate Bag"